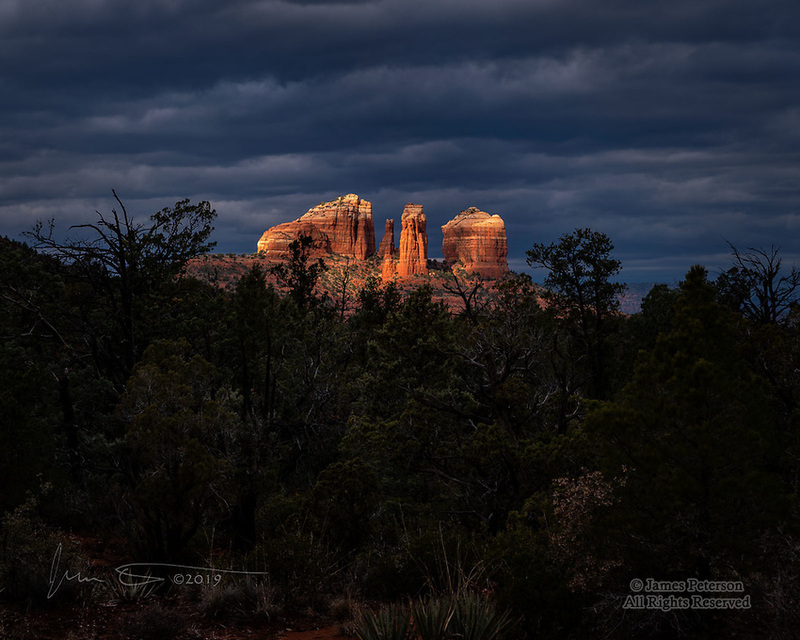 Cloudy Morning at Cathedral Rock ©2019 James D Peterson. The weather was wintry, cold, and threatening, but sunbeams occasionally broke through to warm things up, and the result was nothing short of sublime. This view is in the Coconino National Forest near Sedona, Arizona.